My impressions are somewhat ambiguous. There's indeed a very physical quality to Rampe's playing, which I enjoy a lot. But somehow I found there was some of the ... I call it "wobbliness" for lack of better terms, that I hear as well in Staier's (to my ears horrible) Mozart solo recordings. It may have to do with the tuning used, I really don't know. 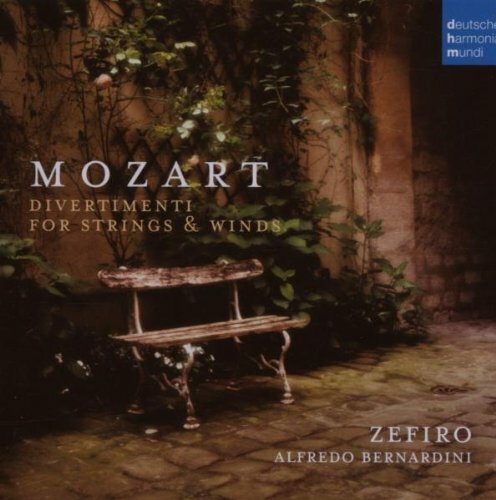 Either way, it's certainly different from any other Mozart I've heard, and it's somehow very tangible and down to earth, colourful, immediate, fortright. Thanks for the followup, Ubu. That disk is not one I ordered already, so nice to hear it. I am a great fan of Staier, but to some extent I agree with you about his Mozart. I appreciate ornamentation as much as any, possibly more than most, but I don't like his choices of ornaments for Mozart things, even though they are possibly as authentic as all-to-be-damned. One example is his 'Rondo alla Turca' from K 331, which is the most unique version I have ever heard. I am still ambivalent about that 2 disk set which I have had for nearly a year now. Okay, your comment does pique my curiosity ... and these often go cheap, so I might consider it. 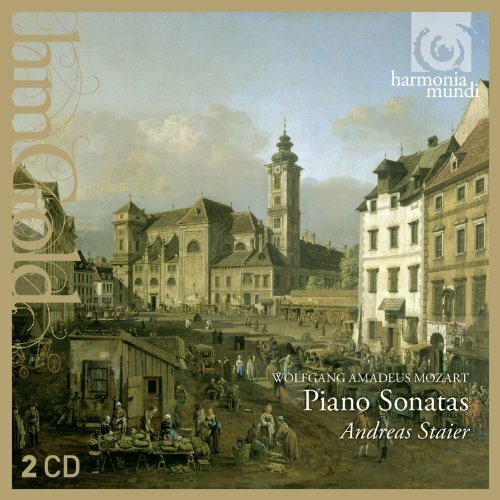 I assume the bits (two sonatas I think?) on the Lumières-set is taken from these same recordings? But then, as I said, I really think Bezuidenhout is doing a splendid job in Mozart, so there's really no need for more (I have not heard any of his commercially released concertos ... which he'd do a large/complete cycle, saw him do two on telly, with the Freiburg Barockers, I think, and they were splendid). I am also very fine with Bilson, both in sonatas and concertos (and have tons of Mozart recordings that are off-topic in this thread). I think they are the only Mozart sonata recordings he has made, so yes, I think they would be the source for the Lumières. I would say he makes them his own, I'm just not sure I want them to be his. I certainly like Bezuidenhout, but I was looking for something on different keyboards, such as Schornsheim and Beghin do with Haydn. Thus when the Rampe popped up I was intrigued immediately. Like I mentioned to Mandrake, I really do like the interesting sounds of different keyboards. I just regret he didn't have a Tangentenflügel to play. I just note that Staier was a Koopman pupil. Your description sounds like Schoonderwoerd on Accent, Gurn. I also prefer Badura-Skoda; but I have repaired it by preferring Bilson in Schubert. That's interesting ... and so was Rampe, right? They seem - that's my impression at least - to have lost some of the warmth and much of the humour that I hear with Koopman. But obviously different people approach same things in different ways, and that's what makes it all as fascinating as it is. And we have the choice. Haven't heard PBS doing Mozart sonatas, alas, but enjoy his Schubert a lot (Schubert though is someone where I really need modern piano versions badly, couldn't go with just PBS and Bilson there). Also gotta revisit the Schoonderwoerd Mozart box - my first impression wasn't indicating it to be nearly as outrageously bad as most here seem to think. It's on my wishlist, but so is Badura-Skoda, Bezuidenhout is on the way and IMO the Van Oort I have us wonderful. The field is getting pretty crowded.... but Schoonderwoerd seems to have the edge on special instruments. Actually, I think it's an excellent set. And frankly I don't recall a clamorous reaction against it, but it's probably because of just a few members bought it. That said, his Beethoven and Chopin recordings have caused some very disimilar reactions here. If I recall correctly, Que is a big fan of these disks. I have several Staier disks which I really enjoy. I am just not committed yet to his Mozart. I didn't know that though, interesting. I like PBS's Schubert too, and especially his Beethoven, but Mozart, he really excels. I also have a little bit of his Haydn and he is first-rate there too. Hey, Gordo! I have only heard a couple of cuts of his Mozart. I didn't know he played different keyboards on different pieces, that seems unusual for him. I have to say, although I know it is not the popular stance, that he is not in my top choices for most things. Sort of why I wanted to try Rampe, someone totally new to me. Who also appears to be adventurous in keyboard choice, like Schornsheim that way. I am kind of looking forward to hearing a 'new' player. Correct, it was the Beethoven concertos that were controversial. I haven't heard anything against his Mozart. Thanks for chiming it! The clamorous reactions I had in mind occurred recently the listening thread or bought today thread, don't really remember and it's definitely not important enough to look it up. 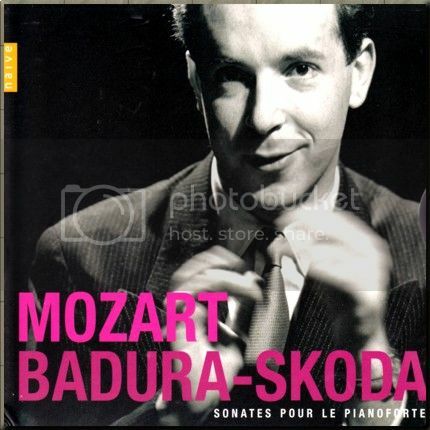 @Gurn: guess I better check out Badura-Skoda's Mozart then! But that, alas, seems to be easier said then done. Where to start for clavier solo works? This, at least is what the cover of the box looks like. It has 6 disks, IIRC. I'll get back with you soon, at work now. Thanks Gurn - seing the cover I remember ... I tried my luck in finding an acceptably priced copy of that already - to no avail, alas. EDIT: all but one are around used for good prices, it seems ... hm. So, depending on what you call a serenade, this is about the crop. Of course, there are some superb other disks, containing such works as the 3 'Salzburg Symphonies', and any number of 'Eine Kleine Nachtmusik' disks, some of which are coupled with Serenata notturna and others, but for the big orchestral serenades, this is about it. At least it is a good starting point. If you can grab these, you can then evaluate where you are and have a narrower field to search through. While they might be considered not quite HIP by some, the Collegium Aureum used historical instruments and recorded most of the serenades in the 1970s and 1980s. Only a small fraction of their recordings was issued on CD and while most of the Mozart came out on CD this was usually around the 1991 anniversary... So one has to go for used copies (or maybe Japanese issues). They did Haffner, Posthorn, K 203, 204, 205, 247, 287, 525, the wind serenades and probably more. Harnoncourt recorded the wind serenades, Haffner and Posthorn on modern instruments but Kleine Nachtmusik, Serenata notturna, K 204, Musical joke, Notturno for 4 orchestras and maybe another one or two smaller pieces with the Concentus musicus. I'd never heard of any of these performers before. 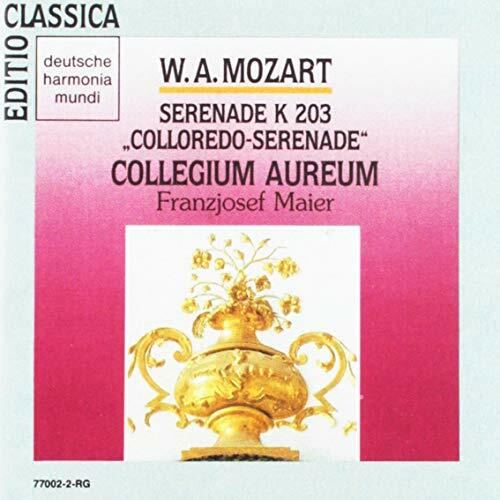 As far as I know, the only other recording of this on period instruments is by The Mozartean Players. This recording here, from 2013, (out of Italy?) is a pleasure. First of all, the sound is significantly clearer, fuller and crisper than the Lublin, so it's a step up in terms of sound production. I also think these are sensitive and convincing performances. Anyone else heard these?